Affordable housing campaigner Robin Howell wants to persuade local authorities that shipping containers can help solve the housing crisis. 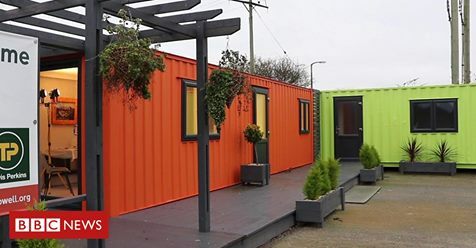 He has converted two of the containers, at a site in Bridgewater, Somerset, into prototype designs and hopes to expand the scheme to offer them as affordable rental housing. The small homes are complete with kitchen, bathroom and a bedroom.